Duncan Shotton Design Studio will be exhibiting next month at the Tokyo Gift Show, in the Active Creators area, Tokyo Big Sight, West hall, booth 4301, 4th-6th February 2015. Active Creators is a collection of 36 booths, each housing a young, active brand/designer, and each of whom will be launching a brand new product at the fair. Over the past two years, I’ve designed and produced two lines of original design products, Rainbow Pencils in 2014, and Sticky Page Markers, which join the family this year. Our wholesale business has grown gradually and organically, and our stuff now appears in some really cool places across the globe, but we’ve never really pushed this area of the business. 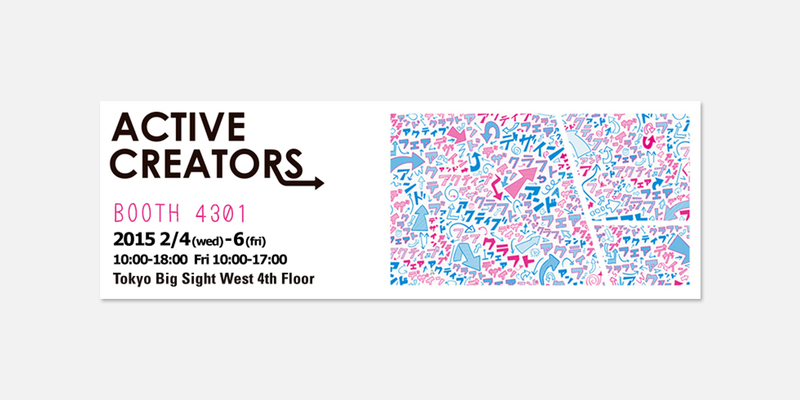 Late last year whilst exhibiting at designboom mart (which is much more of a design exhibition/market than a trade show), the fab girls at Mikke Remikke recommended Active Creators in order to meet Japanese retail store buyers and press. That was absolutely what we we need right now, so I applied on the same day (which turned out to be the deadline), using my laptop and pocket-wifi from behind our little stand. After applying, I received an automated email from a Mr.Nakajima, saying “thank you for your application, it will be reviewed and we will get back to you etc…” About 30 minutes after that, I started chatting to a few business men and women that were browsing the mart, and mentioned that I had just applied to Active Creators. As we exchanged business cards, one of the guys cards read “Mr.Nakajima.” and he turned out to be that very Mr.Nakajima. In December I found out we’d been selected as one of the exhibitors for Active Creators. Good old destiny ay?! Perhaps most of the people who plan on visiting will have already jumped to the Japanese link below, but if you’re reading in English, I hope to see you there! More info on how to attend the Gift Show can be found here.